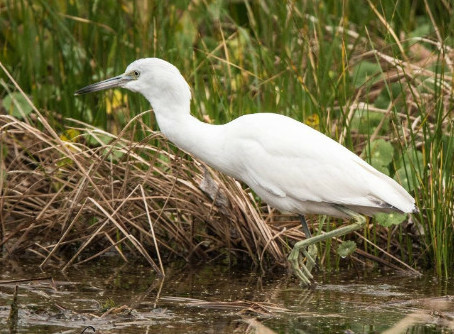 December Program: White Birds of the Coastal South...and Their Relatives! Join us for our program on Monday, December 17, 2018 at the Charles M. Neviaser Educational Institute of Community Hospice, 4266 Sunbeam Rd #100, Jacksonville. 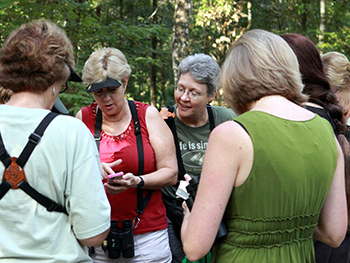 Duval Audubon Society board member Deb Kainauskas has been a member of Duval Audubon Society since 2013. She has served on the board for the last 3 years and is currently the Program and Field Trips Coordinator. Deb is most often seen on weekends stalking birds with her long range Nikon. One common mistake that beginning birders make is to attempt to ID birds by color alone. This is why they are often confused by the many white birds found in the coastal South. Deb will review the four keys to identifying birds and point out the distinguishing features of the different white birds. Before the program, check out our raffle! We'll have some fun bird-related items in our end-of-the-year FUNdraiser - great for holiday gifting! Meet-and-greet with light refreshments starts at 6:30 pm, and the program starts at 7 pm. Saturday, January 5, 2019, 8:30 AM – 12:00 PM @ Camp Chowenwaw Park, 1517 Ball Road, Green Cove Springs, FL 32043. Experience the wonder and beauty of birds in their winter habitats! Even in January, our feathered friends can capture our imagination and desire to venture out and pursue their discovery. 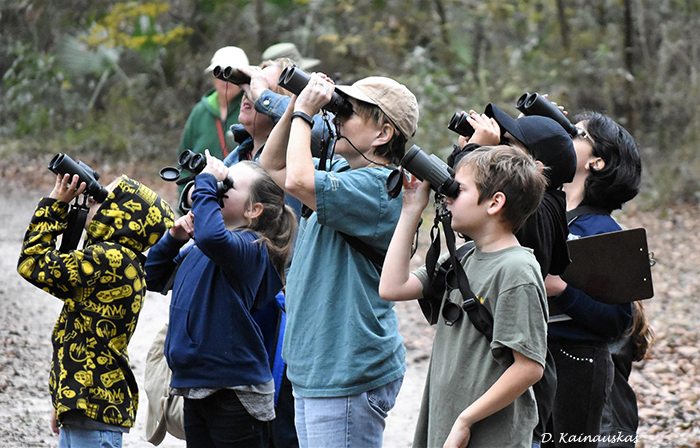 The sport of birding is legendary and the CBC4Kids event offers a wholesome family-centered citizen science adventure designed for kids aged 8-16. Parents and their youngsters join birding team leaders in the fun of celebrating nature and the outdoors. Upon arrival, participants are divided into teams and learn some basics through “Binocular Boot Camp” orientation. These small working teams then head out with a short local winter bird list and bird guide in hand. Afterwards, participants will enjoy the Wild Wonders Animal Show, where kids get a chance to learn and see other animals up close. This is a free event, rain or shine. Registration is currently full, but cancelations may occur; please register for the waiting list at: https://cbc4kids2019.eventbrite.com. Please register children only. Contact Debra Hill at 904-612-3780, fldeb@ymail.com, if you have questions. Co-sponsored by Camp Chowenwaw Park, Clay County Parks and Recreaction, and Wild Birds Unlimited of Julington Creek. 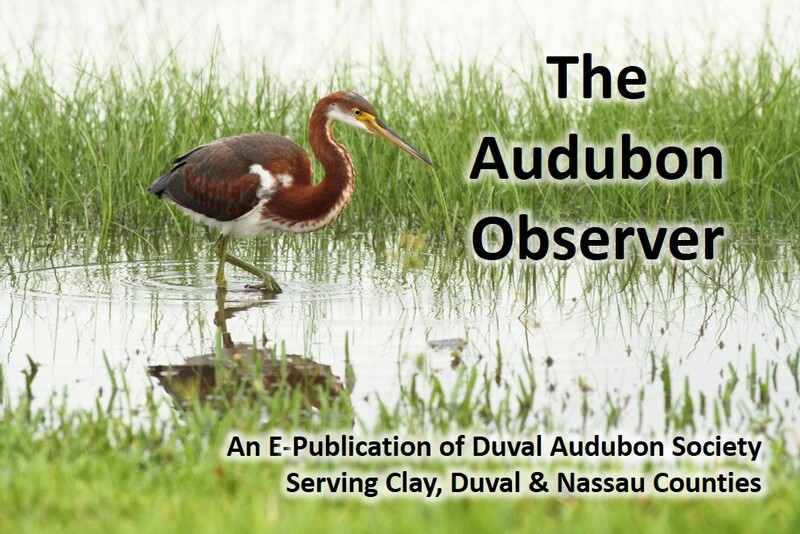 Duval Audubon Society's Crosby Sanctuary Bird Walk and Work Day, regularly held on the fourth Saturday of every month from September through May, will NOT be held in December. We will resume our regular schedule in January, so join us for some nature therapy on Saturday, January 26, 2019! 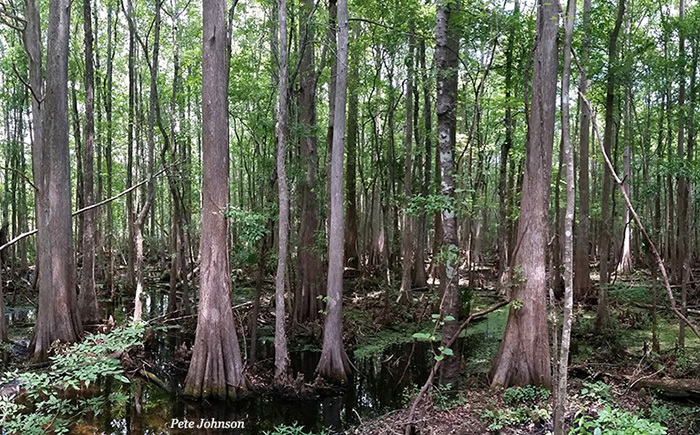 Crosby Sanctuary is more than 500 acres of swamp and oak hammock located in the heart of Clay County. If you haven't been there yet, you don't know what you're missing - hope to see you there! Gift the Gift of Membership! Did you know that you can order a gift membership in Audubon for a friend or family member? It's a great idea for holiday gift-giving! What does your gift do? Lots! 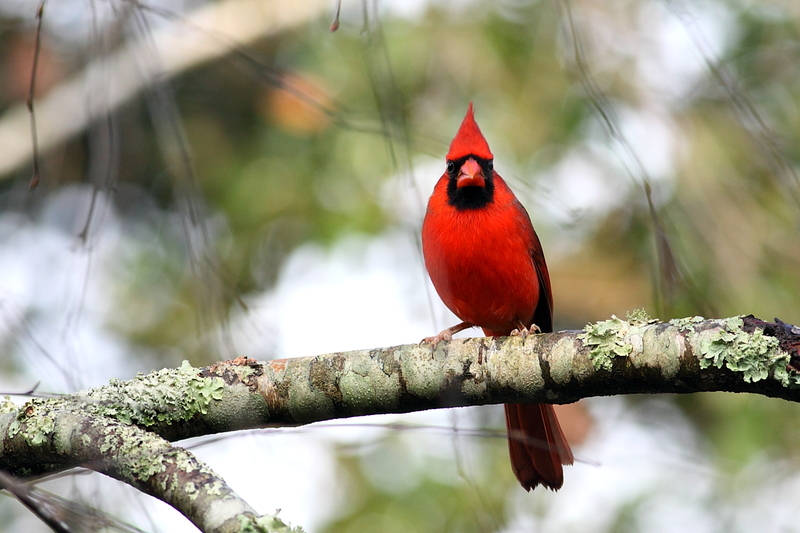 You’ll be spreading the word on the importance of preserving bird habitat, guiding others on how they can create bird friendly habitat right in their own backyard, and joining the over 1,000 other members of the Duval Audubon Chapter of Audubon in support of birds in Northeast Florida. To pay by credit card, call Audubon toll-free at 844-428-3826 and make sure to tell them to credit the gift membership to the Duval Audubon Society Chapter. To pay by check, send your check made out to Audubon and a completed membership form to us at: Duval Audubon Society, PO Box 16304, Jacksonville, FL 32245. Make sure to include the gift membership recipient's contact information and a note explaining that it's a gift membership for that person. Our mission is to connect people with nature. We hope you and your gift membership recipient will join us at one of our events to see up close the fascinating and beautiful creatures your gift supports. Wishing you a happy holiday and a very BIRDY New Year! !